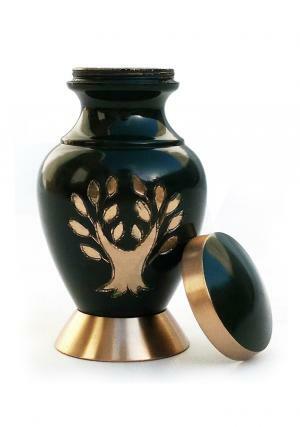 Aria tree of life small keepsake urn for human ashes is decorated in lavish green with polished brass accents. The mini urn is presented with a loving tree on the top which is presented in gold. 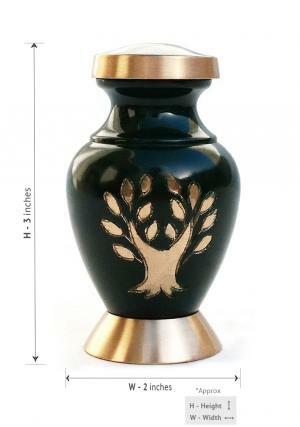 The beauty of the urn is enhanced with an engraved tree. 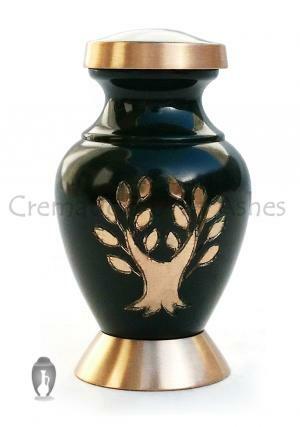 The small keepsake urn for human ashes has a gold accent around top of the lid and circled at the bottom of the base. 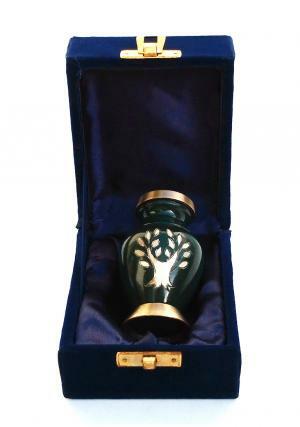 The mini urn has a beautiful aspect of representing the design to remember your loved one for ever with the ashes in the memorial urn for human ashes. The memorial urn is hand crafted by artisans in solid brass and this brass cremation urn is intended to keep a little portion of the remains of your loved one. Presenting ashes in the mini cremation urn would be the perfect memorial for demised by sharing token amount of ashes among the lovable family. 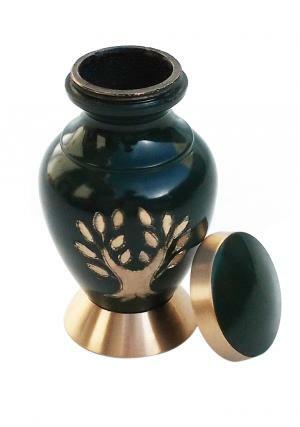 Funeral keepsake urn for human ashes has a secured threaded lid on the top to insert ashes into the urn. The mini memorial urn measures 3 inch tall and weighs 0.15 KG. 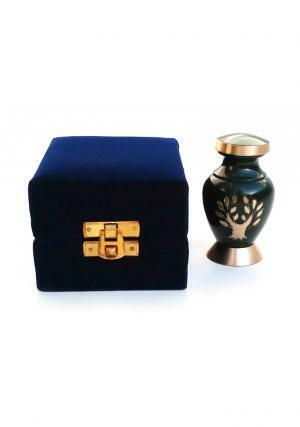 The urn is delivered for free with a velvet box within UK.